Do you remember me gushing about how I wished I lived in a country where winter meant real snow? Like Switzerland? To be honest, I have rarely been in Switzerland in the winter, but I have been there quite a lot in the summer. It is a great place for hiking, and the green grass, the mountains and the abundance of crystal clear water running down the cracks are a refreshing sight. This crystal clear water is what plays an important role in the products of the Swiss skin care brand Instytutum. Not water taken directly form a mountain stream though, but water they filter five times to achieve the purest version possible. On top of that they do support a charity (Waves for Water) that provides water filters for communities without access to clean water. Quite frankly, I am not sure if I personally need the water used in my skincare to be filtered five times, but I love companies that try to give back to those in need and I was excited to have the opportunity to test a few products from their range. 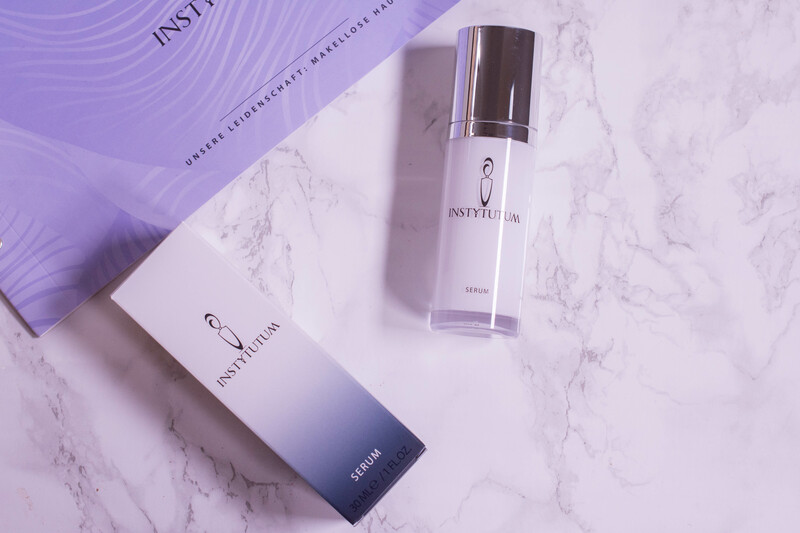 Now you have already seen the Instytutum Anti-Wrinkle Brightening Serum * mentioned in my February favorites, but today you are going to get the full information about ingredients, effects and my final verdict. This powerful multitasking serum combines powerful collagen-stimulating peptides and advanced anti-aging properties with potent plant stem cells. The silky formula is infused with rejuvenating vitamin B3 and stable time-released vitamin C to visibly diminish the appearance of dark spots and wrinkles. This powerful serum improves firmness, wrinkles and pores as well as rejuvenates, intensely hydrates and brightens the skin. One bottle, sleek white and silver packaging with a pump (yay) contains 30 ml and retails for 180 $ here. I know what you are going to say now, that is expensive. Like eye-watering expensive, but – hear me out – I have been using it for three months now, almost daily, and I still have product left. One pump is enough to cover my face and neck, feels lightweight, has no noticeable scent (despite containing fragrance) and absorbs easily into my skin. It does work well with any moisturizer I put on top and did not cause issues with my makeup when applied in the morning. 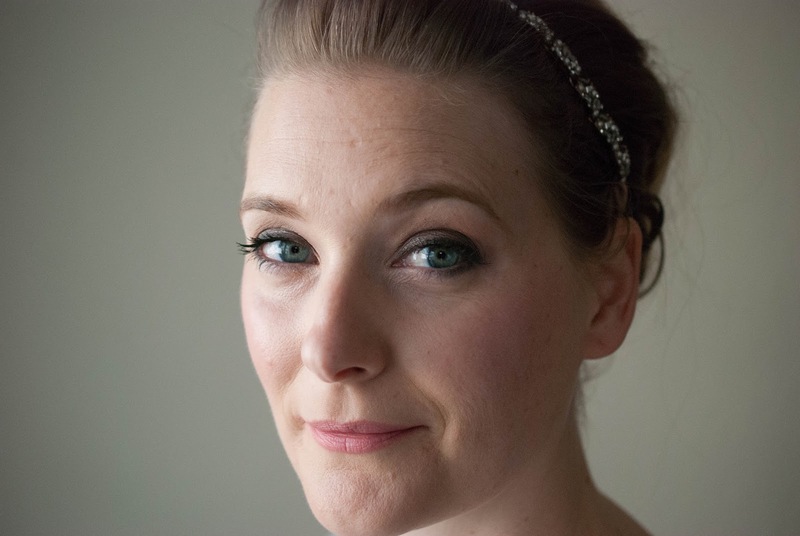 The place in my favorites was earned through the noticeable brightening effect it had on my hyperpigmentation (both from sun and acne), and while I can´t say the same about my fine lines it was definitely plumping and hydrating. It is brightening, and it is hydrating enough to lessen the appearance of fine lines. The amount of antioxidants , minerals and other nutrients included backs up the claim of antiaging benefits. Which may surprise you, reading my rave review above. The thing is, it does everything I want from a serum, the packaging is great and I did really see a difference, but a tiny voice inside my head keeps telling me: There is a cheaper alternative out there, doing the same thing. You just have to keep on looking. So I guess I will see how much my skin misses it and make my final decision then. Anyone not on a budget. Hydrating, brightening and fighting free radicals, all that while looking posh on your bathroom shelf, what is not to love? The product above was a PR-Sample (*) send to me for consideration, but all opinions are honest and my own. Some links used above may be affiliate links.